Over at the "due in sepetember" thread at bubhub, we decided to host a surprise baby shower, where we all got paired up with another mummy-to-be, and sent them a gift to celebrate the impending arrival of their precious bundle. I had this book from Simple Scrapbooks that I purchased off ebay months ago (but had never read), and decided to try my hand at making a baby album. The album was designed as pages to be inserted in an album, but because I blew my budget out of the water just buying the materials, there was no way I could justify an album to slip it all into as well... so I bound it with my BIA. And I love how it turned out! This isn't all the pages from the album, there's a pile of pages that just repeat each month, so you can watch bubba grow from month to month... 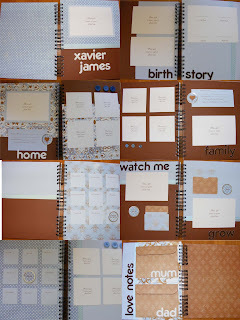 It's a cute little album (the mummy-to-be specified her colours were chocolate and pale blue, so the Kaisercraft Coco range was perfect! 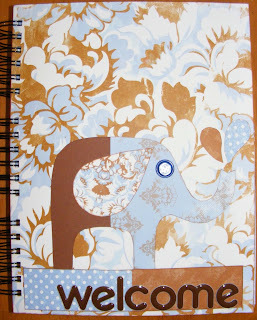 ), and the elephant on the cover comes from a template off the Martha Stewart website (think I'm going to make some canvases with that one, it's so simple to use!) I used the thickers at the end, cause I thought it just needed a bit of "pop" to make it stand out a bit... I'm definately planning to put one of these together for bubba, and if I get a wriggle on, it will be ready before he arrives! And the mummy-to-be was so excited! I was starting to worry that it wasn't "good enough" (which is pretty silly, in hindsight), but she is stoked with it, and can't wait to start filling it! In other news, I had a check up on Monday, and the silly dr measured me as 34cm at 29wks! I think she measured wrong (i can't have grown 7cms in 1 week! 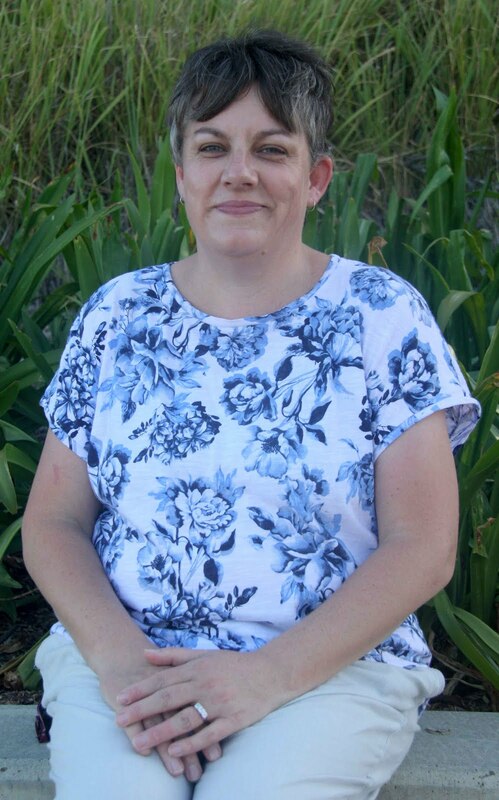 ), but she's sending me off for a scan, given the polyhydramnious last time and it seems the gestational diabetes can affect fluid levels as well. Had a bit of a scare yesterday with my BGLs... after not eating all weekend because of a vomiting bug, I had two high reading in a row, which is apparently a warning sign of insulin resistance (meaning you need insulin injections.) I'm about to do another reading, so here's hoping it's all evened out today, and I worried about nothing! I'm also back under midwife care (with dr supervision), which makes me feel so much better - as I said to them on Monday, I was starting to feel lost in the system of seeing drs all the time when I'm not sick! Oh, and being sick has thrown me behind with my p365, of course... I'm out of the habit of carrying my camera, so will work on that in the next couple of weeks. Love the album! It looks great! What an awesomely adorable gift!